We live in the perilous times foretold by Paul (2 Tim 3:1). This is a time of especial danger to the Christian and to the Christian home. The decisive events now taking place in the world, the nation, and the church are God’s alarm clock. “And that, knowing the time, that now it is high time to awake out of sleep: for now is our salvation nearer than when we believed” (Rom 13:11). What an amazing opportunity to live when the most thrilling events in the history of planet earth will take place. “And who knoweth whether thou art come to the kingdom for such a time as this?” (Est 4:14). Those who know the times can be heroes that are strong and do exploits for God here and be inducted into Heaven’s Hall of Faith hereafter. 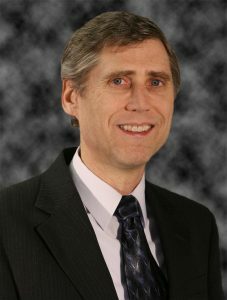 Dr. Phil Mills, MD is a dermatologist in private practice in Blue Ridge, Georgia. A Loma Linda graduate, he has remained active in medical evangelism and is the editor of the Adventist Medical Evangelism Network (AMEN) journal, The Medical Evangelist. He serves as chairman of the board of trustees at Weimar Institute. He and his wife have a publishing ministry for children, My Bible First. 6:25 - 7:00 am Kevin Lawrensen Why do they believe? Our on-campus lodging is very limited. Therefore, guests must call ahead and secure lodging with a deposit equal to the first night’s fee. First night’s deposits are nonrefundable after a set date. Guests must provide their own bedding and towels. To secure your lodging, contact the events coordinator at 540-672-1996 ext. 232. Lifestyle Center. The rooms have both air conditioning and heat. There are two rooms that are handicap accessible with queen beds, the other rooms have double beds. The bathrooms are shared. It is $80 per person per night (linens included). Additional person sharing the room: $15.00 per person per night. RV Site has water and electricity (there may be changes for the Winter Convocation due to the weather, call office for more details). It is $20 per night. Dorm Room & Staff Homes. The rooms in the respective male and female dormitories are shared with up to 3 persons per room when available. The bathroom is also shared. It is $15 per night per person. Rustic Cabin. The cabins are simple one-room bunk houses which accommodates up to 9 people. It has a ceiling fan, electricity, and heat for the cold nights. It is $5 per night per person. Rustic Tent Site is $20 per night for sites with water and electricity and $10 per night for sites without water and electricity (a shower house is provided for those in cabins and tents). Tickets are required for all meals and are nonrefundable. Purchase tickets at the Registration Desk during registration hours or at the cafeteria during mealtimes, except during the Sabbath. If you have food allergies, be aware that our meals are vegan but are prepared with nuts, nonirritating spices, herbs, and gluten. We cannot cater to special diets. * An incentive will be offered for guests who register early for meals (before onsite registration begins). They will be charged $8. However, meals purchased on the day of on-site registration and after the event has started will be $10. Children meals will equally increase from $6 to $8. ** Children under age 5 are free with adult meal purchase. We offer programs for children and youth. Young people under 18 must have an adult take responsibility for their safety and behavior. Swimming or playing in the lakes and ponds is prohibited. Bicycles and skateboards are prohibited. This is for everyone’s safety.